Police have kicked off a nationwide search for a woman who police say killed her husband in late March and then stole the identity of another woman after killing her last week. 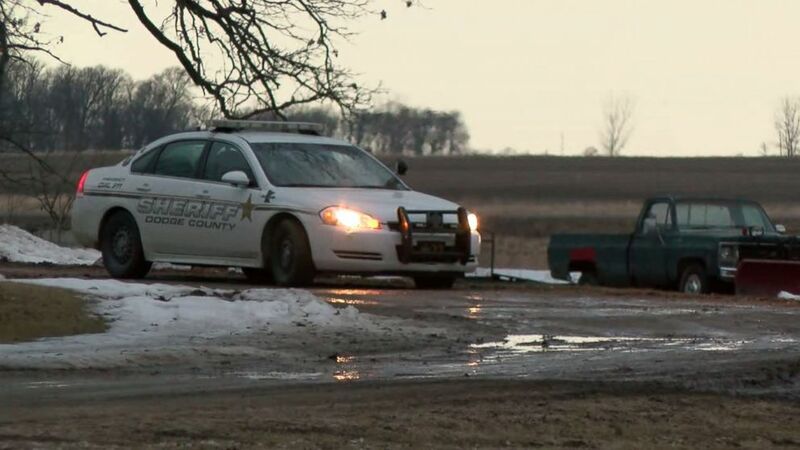 Lois Reiss, 56, of Blooming Prairie, Minnesota, is suspected of killing her husband, David, in their home on March 23, according to the Dodge County Sheriff's Office. Blooming Prairie is located about two hours south of Minneapolis, near the Iowa border. Dodge County deputies found David's body, with multiple gunshot wounds, after his business partner called police to say he had gone missing. His wife Lois was nowhere to be found. The Dodge County Sheriff's Office said Lois Reiss was seen following her husband's death at Diamond Jo Worth Casino in Northwood, Iowa, but the trail went cold for two weeks. That's when police in Fort Myers Beach, Florida, identified Lois Reiss as a suspect in the death of 59-year-old Pamela Hutchinson. Hutchinson was found dead of multiple gunshot wounds in her home on April 9, the Lee County Sheriff's Office said. Her cash, credit cards, identification and car were all found stolen, police said. There was no connection between Reiss and Hutchinson, but Dodge County sheriffs said Reiss' mode of operation was to befriend women before stealing their identity. "Detectives have reviewed hundreds of hours of video, and traveled throughout the state and collected hundreds of items for forensic examination," Lee County Undersheriff Carmine Marceno said at a press conference. "It has been determined that Reiss has left Florida and traveled through the Gulf States. She is believed to be in the Corpus Christi, [Texas], area. Her current whereabouts are unknown." Reiss was spotted in Corpus Christi on Sunday. Marceno said it appears as though Hutchinson was targeted because of similarities in her appearance to Lois Reiss. The U.S. Marshals Service is currently searching for Reiss and she is considered armed and dangerous. Reiss has three adult children and is a grandmother as well, according to Dodge County Sheriff Scott Rose. He also said Reiss has a "gambling problem" and "financial problems." Rose said he is in contact with the U.S. Marshals Service, which does not believe Reiss crossed the Texas border into Mexico. Rose said U.S. Customs and Border Protection officials have her information and the license plate number for Hutchinson's stolen Acura sedan. "It is safe to say there is a concern she could do this again," Rose said. Reiss has no criminal record, according to authorities.